Fibromyalgia is a condition characterized by widespread musculoskeletal pain, fatigue, sleep issues, and mood problems. Research shows that fibromyalgia is the result of amplified pain signals in the brain. Fibromyalgia is often seen as a condition only affecting adults, but it also affects young children and teenagers. There are few studies in the United States about the number of adolescents living with fibromyalgia, but some estimates are as high as 6%, this according to the National Fibromyalgia & Chronic Pain Association (NFMCPA). If your child has been diagnosed with juvenile fibromyalgia (JFM), here is what you need to know. One report published in Nature Reviews Rheumatology notes at least 25% of school aged children live with chronic pain and some of them report widespread chronic pain. Unfortunately, there is insufficient current research on proper identification of juvenile fibromyalgia and doctors must rely on guidelines established in 1985 by the American College of Rheumatology (ACR) for diagnosing juvenile fibromyalgia. Fibromyalgia is more common in girls than boys, and mostly diagnosed between the ages of 13 to 15. In rheumatology practices, fibromyalgia is fairly common and according to Dr. Susmita Kashikar-Zuck of Cincinnati Children’s Hospital Medical Center in Ohio, her practice is seeing 40 to 45 new cases of juvenile fibromyalgia per year. Chronic widespread all over body pain is the main symptom of fibromyalgia and is experienced by both children and adults. Fibromyalgia also causes sore spots on the muscles called “tender points,” which hurt when pressure is applied. Some research studies suggest teens and young children may experience far worse symptoms and pain than known. Children may view their pain and other symptoms as normal and they may not speak out about the extent these symptoms have on them. Research has also found juvenile fibromyalgia affects peer relationships especially when adolescents miss many school days and are unable to participate in school activities. These problems put them at further risk for social isolation and cause psychological problems, including anxiety and depression. Diagnosing fibromyalgia in children can be challenging because the current American College of Rheumatology (ACR) diagnostic criteria has not been confirmed for diagnosing children. The 2010American College of Rheumatology criteria can be utilized, but it needs to be modified back to what was established in 1985 by researchers, Yunus and Masi, this according to a 2016 report in the Journal of Pediatrics. To make a diagnosis a medical exam must be done, which includes a detailed history, tender points assessment, and diagnostic testing to rule out other conditions. A diagnosis is then made based on five or more tender points and three additional symptoms, including anxiety, fatigue, sleep issues, and headaches. All other medical conditions must be ruled out, and testing cannot point to any other possible reason for the widespread pain, chronic fatigue, and other debilitating symptoms. 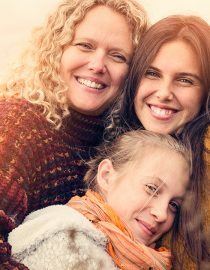 No one knows for sure what causes fibromyalgia, but it tends to run in families although research has not yet determined any genetic components. Most researchers believe the brains of people with fibromyalgia process and respond to pain differently, specifically at heightened levels. Other cases of fibromyalgia are linked to triggering events, such as illnesses and infections, injuries or emotional traumas. The good news is that fibromyalgia does not harm your child’s body. Medically speaking, juvenile fibromyalgia is not a progressive disease which means it does not cause damage to the body and it is non-fatal. Although juvenile fibromyalgia is not progressive, treatment is based on controlling symptoms so that children can go on with their lives. In most cases of juvenile fibromyalgia, doctors do not prescribe fibromyalgia medication to children and focus treatment on physical therapy, stress reduction, and diet. The outlook for adolescents with juvenile fibromyalgia is very good, and most children and teens get better over time and lead pretty normal lives. Juvenile fibromyalgia may continue into adulthood for some, but most studies show children and teens are benefiting from medical, psychological and physical treatments. Moreover, some even recover within 2 to 3 years, meaning they no longer exhibit symptoms of fibromyalgia. Find a doctor who you and your child are comfortable with and allow your child to have a healthy life. Also, don’t be afraid to seek the help of a mental health professional or support group if you questions or if you are struggling with managing your child’s health. There are so many effects fibro patients experience, some more common than others. Which of these less common fibromyalgia symptoms have you experienced?